Butler, Party of 4: Cardiovascular Disease & Obesity- What YOU NEED to know! Cardiovascular Disease & Obesity- What YOU NEED to know! Did you know that the #1 KILLER of both men and women is CARDIOVASCULAR DISEASE??? Did you know the #1 RISK FACTOR for cardiovascular disease (along with hypertension, heart attacks, diabetes, strokes, and cancer) is OBESITY??? One of the main reasons our healthcare system is cracking is because of the excessive numbers of baby boomers who did not take care of themselves and are now sick. And please don’t think I’m being insensitive. It saddens my heart to hear about each and every person and the family’s suffering….I can’t even imagine, and I’m sure at some point I will have to deal with this in my own life with friends or loved ones. I just want to help educate people so they can start making better, healthier choices RIGHT NOW. It’s NEVER too late. If you’re not eating clean, working out, drinking lots of water, eating the rainbow, getting enough sleep, taking vitamins/supplements…..you NEED to be! If you are and you have family members who are not, they NEED to be as well. Talk to them. Share this with them. Educate them. We CAN prevent diseases, but it has to be choice we make. It takes effort. It takes discipline. And it takes a healthy lifestyle change. I can say though, that there aren’t many greater investments we can make than in ours and our family’s health. 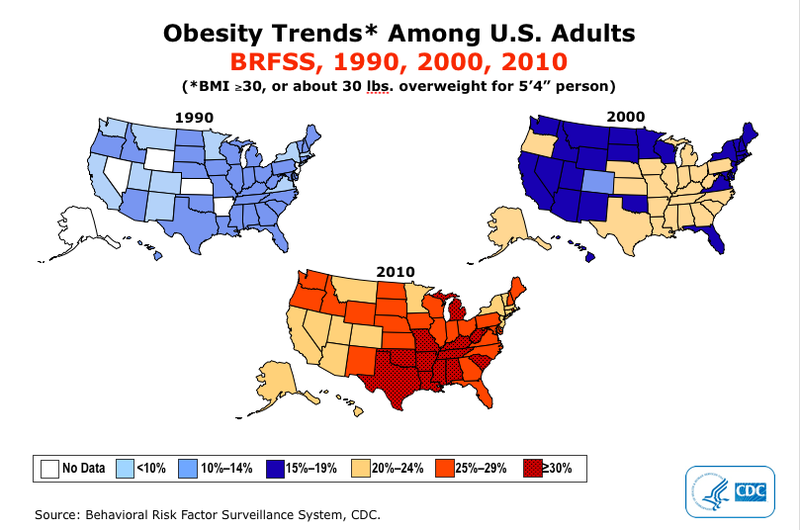 One example that stands out to me is one of our neighbors who was obese. He felt called to go on the mission field, but couldn’t because of his health and weight-related issues. After losing over 100 lbs, he has now been able to go to Africa multiple times to serve where he feels led. This is something that has recently become very close to home for me. While doing some research on my biological family’s health history, I discovered that heart disease is RAMPANT throughout my entire family. I have always tried to be very conscientious about what I eat and made a effort to exercise regularly. I cannot tell you the countless times I’ve been “picked on” (even by friends and family) about my health-related choices. People think they’re too extreme. But after discovering my biological health history, I am SO thankful I have made these choices. I recognized at an early age, thankfully, that I needed to take care of myself because I want to be around for a long time, and I want those to be healthy years. I don’t want to have to deal with various diseases or health issues, be a burden to my family, or be unable to live a ‘normal’ life or do the things I want to do because of health issues. I choose to be healthy because it is the BEST method of DISEASE PREVENTION, and I know I will be thankful some day for those choices. I am thankful for my own health and that I still have an opportunity to prevent diseases. I’m thankful this is my passion, because I LOVE helping people get healthier!! I know when I do, I am adding value to their life and their future. Maybe something I have said or done has helped somebody make a lifestyle change that will add years to someone’s life….healthy years they can spend time with their family & make precious memories. I am also thankful to be a part of a company working hard to help people become healthier. I truly believe in Advocare 100%. I believe in the products, the science behind them, and I have seen them work in my own life and countless friends and family members. If you’re looking to jump start some weight loss, learn more about any of these products, or kick start a healthier lifestyle, PLEASE let me help you. It would be an honor. I LOVE all of this, and I can answer any questions to help you get started. One of my favorite Advocare success stories so far is a family who did this together and lost a combined 119 lbs! WOW. That changed their life, their health, and their whole future. If you’re looking for a great starting place, we LOVE the 24 Day Challenge!!! Here are my Before & After pics too if you’re interested. Advocare has 5 incredible lines to help meet everyone’s health & fitness needs and achieve their goals. I have my whole family on these products…..from my 60 year old Daddy to my five year old niece, and everyone in between! This is a great place to start too….Choose The Challenge! Feel free to e-mail me with questions at rainey.danielle@yahoo.com. I love helping people figure out what is best for them and their needs. You can also order HERE and I will follow up with you and support you the whole way through. (You can search for me by name and city- Danielle Butler, Oakwood, GA). I have heard a few people complain about the price….If you’re interested in finding out how to get a 20% discount, I would love to tell you how. And like I said, to me, I consider this an investment in my health and future. If you give up cokes, Starbuck’s, and eating out for 1 month, you’ll be able to afford the challenge no problem! Like I said…..It has to be a healthy lifestyle change. This is not a magic cure-all or diet pill…..It’s 100% part of a healthy lifestyle change. By giving your body the vitamins and nutrients you need, it WILL help you get results and it WILL help you achieve your goals. This is the perfect jump start to a whole new healthier way of life. It is motivating to lose weight and inches and have a ton of energy, so I LOVE this as a tool to help people break through plateaus and get kick started in the right direction. love your passion for health & fitness :) i can totally relate to being teased by family/friends for my healthy food choices. but hey- it is totally worth it to feel great! thanks for sharing all your great tips!